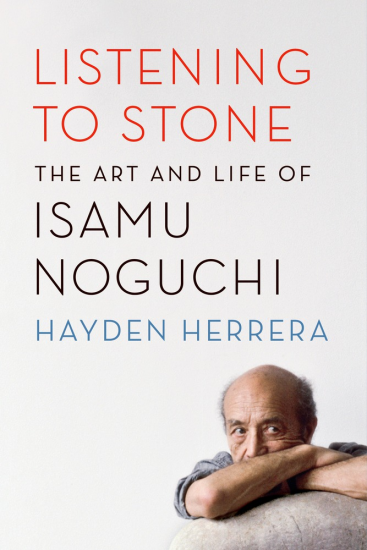 Among the finalists for The Los Angeles Times’ annual Book Prizes, announced Feb. 23, is “Listening to Stone: The Art and Life of Isamu Noguchi” by Hayden Herrera in the biography category. Also nominated are “Fortune’s Fool: The Life of John Wilkes Booth” by Terry Alford, “Jonas Salk: A Life” by Charlotte DeCroes Jacobs, “Young Orson: the Years of Luck and Genius on the Path to Citizen Kane” by Patrick McGilligan, and “Mary McGrory: The First Queen of Journalism” by John Norris. Works in 10 categories will be recognized at the 21st Los Angeles Times Festival of Books on April 9 at USC’s Bovard Auditorium. The Innovator’s Award will be presented to James Patterson and the Robert Kirsch Award to Juan Felipe Herrera. For more information, visit http://events.latimes.com/festivalofbooks/the-festival/info/. In this biography of the elusive artist, Herrera observes this driving force of Noguchi’s creativity as intimately tied to his deep appreciation of nature. As a boy in Japan, Noguchi would collect wild azaleas and blue mountain flowers for a little garden in front of his home. As Herrera writes, he also included a rock, “to give a feeling of weight and permanence.” It was a sensual appreciation he never abandoned. When looking for stones in remote Japanese quarries for his zen-like Paris garden 40 years later, he would spend hours actually listening to the stones, scrambling from one to another until he found one that “spoke to him.” Constantly striving to “take the essence of nature and distill it,” Noguchi moved from sculpture to furniture, and from playgrounds to sets for his friend the choreographer Martha Graham, and back again working in wood, iron, clay, steel, aluminum, and, of course, stone. Noguchi traveled constantly, from New York to Paris to India to Japan, forever uprooting himself to reinvigorate what he called the “keen edge of originality.” Wherever he went, his needy disposition and boyish charm drew women to him, yet he tended to push them away when things began to feel too settled. Only through his art — now seen as a powerful aesthetic link between the East and the West — did Noguchi ever seem to feel that he belonged. Combining Noguchi’s personal correspondence and interviews with those closest to him — from artists, patrons, assistants, and lovers — Hayden Herrera has created an authoritative biography of one of the 20th century’s most important sculptors. She locates Noguchi in his friendships with such artists as Buckminster Fuller and Arshile Gorky, and in his affairs with women including Frida Kahlo and Anna Matta Clark. 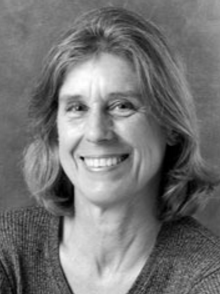 Herrera is also the author of “Frida: A Biography of Frida Kahlo” and “Matisse: A Portrait.” She lives in New York City. To order online, go to http://us.macmillan.com/listeningtostone/haydenherrera.